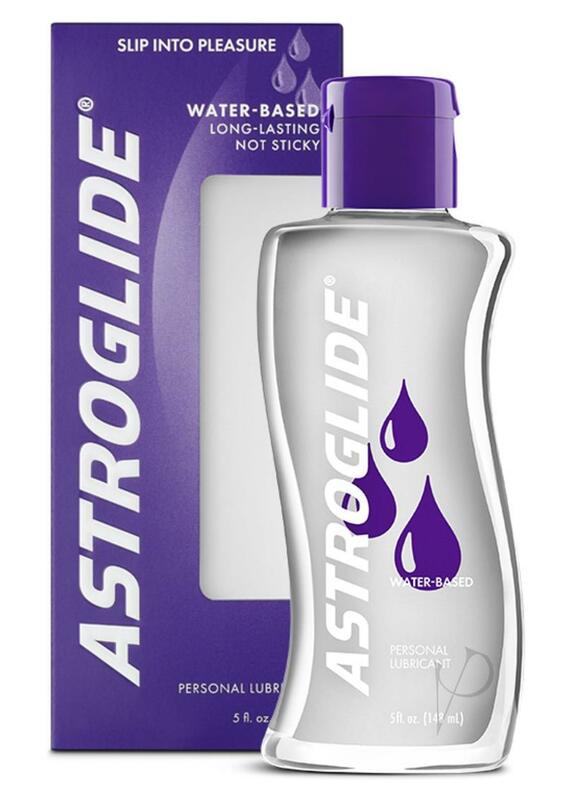 Astroglide Water Based Lubricant. Second only to nature, Astroglide personal lubricant is made to enhance the pleasure of intimate activity. The bottle's oval shape means it won't roll when dropped. Premium pharmaceutical quality, long-lasting, and non-staining. Water-based, safe for use with latex condoms.